Sponsor a Workshop with Sa'diyya in Your Town! Sa'diyya at Raks into Spring! 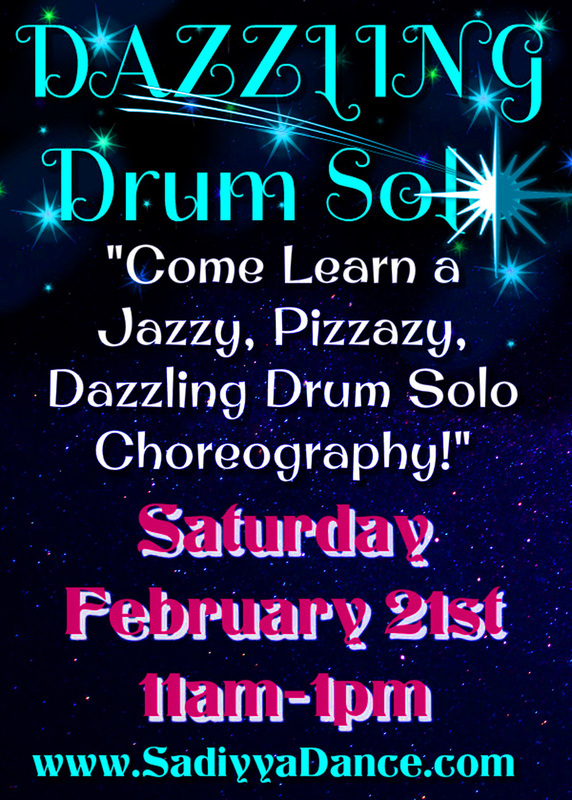 In addition to the numerous local workshops that Sa'diyya teaches every year at her own studio in Frisco, TX, here is a list of other local, regional, national and international workshops featuring Sa'diyya that were sponsored by belly dance event producers. Read testimonials from Sa'diyya's workshop students and event sponsors by clicking HERE! 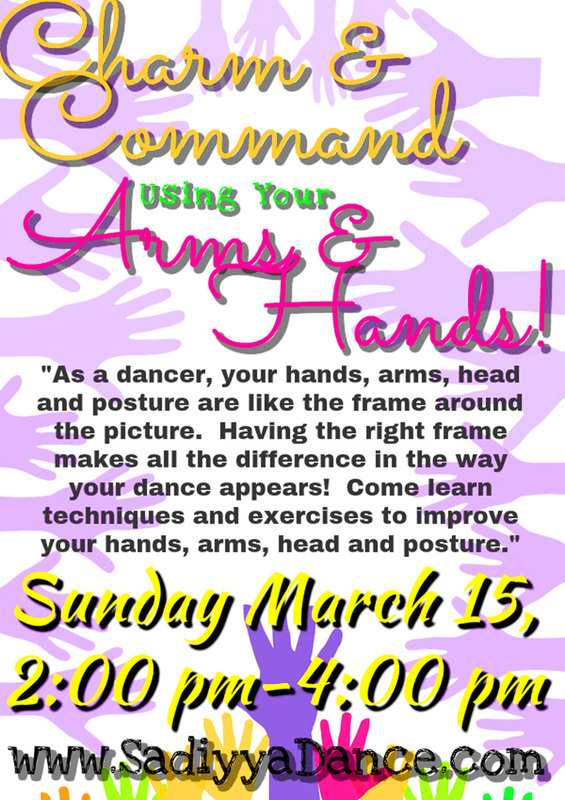 Sa'diyya Presents "Charm & Command using your Arms & Hands"
Sa'diyya Presents "Dazzling Drum Solo Choreography"